It’s Here! The Brand New Private “Space Taxi” Capsule From Elon Musk & SpaceX! CEO of SpaceX, Elon Musk, just unveiled the company’s latest space capsule, the Dragon V2. 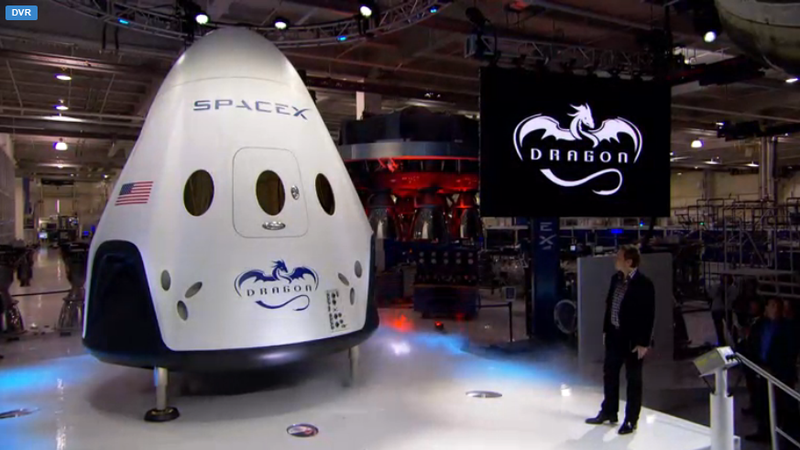 The Dragon V2 is designed to take NASA astronauts to and from the International Space Station, essentially acting as an efficient private “space taxi”. Not to mention the fact that the aircraft is fully reusable. The new SpaceX vehicle is capable of holding seven astronauts and comes equipped with SuperDraco thruster engines built into the walls of the capsule, intricate in case of an emergency upon launch or during the ascent of the aircraft. More to come as we eagerly wait to learn more specific details about the awesome new capsule from SpaceX!